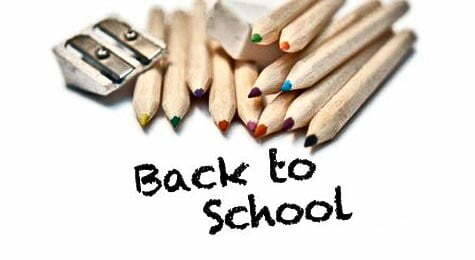 Summer is a good time to put off everything, including back-to-school preparations. But there is little sense in putting them off just before opening of classes. Children, especially the little ones, have a lot to prepare for. School may be very upsetting and intimidating to children, especially those on their “first day.” For them, it’s a big, new world to conquer. Independence bespeaks confidence, which in turn facilitates learning. One way to help children become more independent is to let them dress by themselves. This entails putting on clothes that require minimal adult supervision, with no sophisticated buttons or hard flies. Let your children pack their own lunches too, so they would easily spot their own lunchboxes during school time. These may just be trifling actions but they go a long way in helping your child get used to his or her environment. Your child would then be less fretful and thereby, concentrate better at school. Always equip your pre-school child with a change of clothes. Pre-school can be such a dirty place; you’ll never know where your kid may stumble. Besides, a child feels at home in his or her own clothes than the school uniform. Remember that familiarity breeds easy absorption of information. The same cannot be said for self-consciousness and feelings of not belonging. Put your child’s name on his or her equipment. Doing so would keep them from getting lost and stolen. After all, no kid can focus on his or her studies unless he or she knows all his belongings and valuables are in place. Communication should never be one-way. Since you’re the one who knows your child inside out, keep lines of communication constantly open with his or her teacher. Always keep your kid’s teacher posted on changes at home e.g. relocation to a new house; birth of a new child; separation or divorce; and demise of a loved one. Such changes can affect your child’s emotional makeup, and consequently, school performance. In the same way, get updates from the teacher on your child’s academic and social progress. Do not monopolize conversations with your child. Listen to what he or she has to say. In addition, talk at length with your child about friends and life in school. Make it clear to them that he or she can turn to you for advice regarding school trouble, such as bullies and difficult subjects. A dearth of slumber is anathema to learning and education. It has been recognized as one of the primary causes of behavioral and learning difficulties among school children. Children in primary school should sleep 10 hours at night on average. This way they would be able to concentrate on lessons in their waking day. To a kid whose stomach is rumbling, the world, including the classroom, suddenly turns vicious and looks inhospitable. Make sure your child eats a hearty meal before going to school. Always send him or her out with snacks in hand. Nearly all pre-schools have mid-morning recess and lunchtime. If your child has food allergies and other intolerances, always inform your child’s teacher about them. Egg on your kid to read whenever he or she can. Younger kids may start with you reading them bedtime stories. Let them read these stories to you too. Older children may get their hands on classics like Charlotte’s Web , A Little Princess and Treasure Island ; modern greats like the early Harry Potter books ; and kids-only magazines. Encourage them to sign up for library memberships too. Restrict watching television to no longer than one hour every day on weekdays, two hours on weekends. Limit sleepovers to the weekends too. Also, have your kid’s playmates in the house fetched early as not to compromise homework time. Organize an everyday schedule for your child. It should be one that sets aside ample time for homework. Don’t leave out a schedule for eating meals together, domestic chores, and bedtime. Let your kid engage in sports, theater, art and other extracurricular activities. Reserve an area for study where your child can focus well on his or her homework. Take care to make it well-ventilated and well-lit. Clear away mobile phones, game consoles, laptops, TV sets, and other potential sources of distraction from this study area. Reinstate them only when quizzes, exams and homework are finished. If your child is struggling with a certain subject, engage a tutor. You can also avail of workbooks and additional study paraphernalia, which come for a wide range of subjects in which your kid may have difficulties. Control the amount of time your older child spends in socializing. Minimize socials especially during examination periods. Also, involve yourself in your child’s group studies, without being too obtrusive though. It’s not easy to apply this kind of steps to toddlers. It’s the hardest time to teach them on how to be independent. I experienced it on my kid brother, he always cry when he was left to school. But I believe that everything can be done step by step. What little kids need on school is a little support and guidance. They want some assurance and encouragement. I think these steps will help a lot to make kids independent on school. When I was still a kid, new books, new stationeries and new clothes did encourage me to go back to school after a long break. It’s like New Year and you’re getting a new diary planner. Yes what an intelligent observation! I noted that with my kids, school opening seems to upset them. They mostly dread the first day of school. The tips are great. I never really knew it is not good to monopolize conversation with children. I tend to do that not knowing this is not helping my child.. I am also reminded to allow and encourage my child to read, I also forget this important thing. All the other things you mentioned here I would really take note and apply. Thanks a lot! I didn’t quite have any problems with my little one when she had her first day of classes. She was actually very excited and got to make a lot of friends. I was the one nervous and even got her different kinds of school bags, but in the end, the school actually provided them with one. LOL! Didn’t have a problem myself either during my son’s first day of school. The problem only starts when these kids hit the higher levels since studying has become more of a chore than having fun with friends during the lower levels.